Archipelago International, Indonesias fastest growing hotel group, is once again expanding its portfolio in Batam with the opening if its latest upscale Aston hotel. Named Aston Batam Hotel & Residence, the brand-new hotel mixes understated luxury with a homely ambience, together with a strategic address close to both business and entertainment hotspots. Aston Batam Hotel & Residence also offers easy access to Hang Nadim Airport and the Harbour Bay Ferry Terminal. For the second year running, Archipelago International's One Year Free Stay mega giveaway will begin tomorrow. The giveaway is the first of its kind in Indonesia, whereby Archipelago International members can win a year of free stays and other luxuries in Archipelago International hotels. Tuban Regency is a historic city home to a number of trading factories and one of Javas leading seaports. Known as the local and international investors newly-prominent site, Tuban has developed rapidly that the region is starting new plans such as cement and petroleum industries. Jakarta, August 5th 2017 Archipelago International, Indonesias fastest growing hotel management company, brings yet another addition to its ever-growing favehotel brand portfolio with the opening of favehotel Bandara Tangerang. This brand new modern budget hotel is located in Jalan Husein Sastranegara, which is approximately only 15 minutes from Soekarno Hatta International Airport. Archipelago International is delighted to announce that it will open its first hotel in Cuba in the last quarter of 2019. 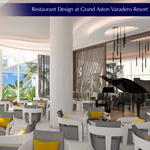 Grand Aston Varadero Resort will feature 438 rooms in Varadero, one of the largest resort areas in the Caribbean.